Przewalski’s horse is nowadays the only true wild horse and is considered to be the ancestor of all races of the modern horse. 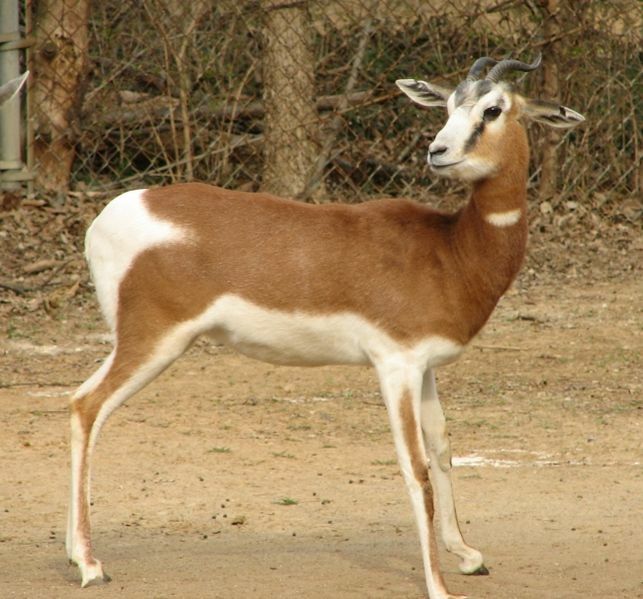 Unfortunately, almost all specimen live in zoos. Many zoos play a vital role in preserving the Przewalski’s horse, breeding them in captivity and then releasing them in the wild. It is estimated that a number of about 1500 Przewalski’s horse currently live in wilderness. 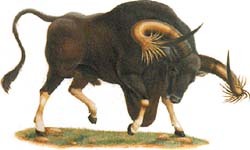 The history of Przewalski’s horse goes back tens of thousands years ago, when they inhabited grassy steppes in territory which we now know as Eurasia. Scientists argue whether the Przewalski’s horse is the ancestor of all horses, or if they are two different branches, evolved from a more ancient type of horse. Undisputable, however, is the fact that Przewalski’s horse is the oldest species of horse still present. These horses have a stocky, more massive build than any other species. Their legs and neck are short, their shoulders wide, all of that equipped with impressive musculature, making the Przewalski’s horse a very strong animal. The fur is dense and usually yellow to chestnut, with a darker line on the back. Unlike many other horses’, the mane of Przewalski’s horse is rather thick and short and doesn’t even reach the eyes of the horse. The length of the horse reaches up to 2 metres, height can reach 135 cm and in total the horse weighs up to 360 kilograms. 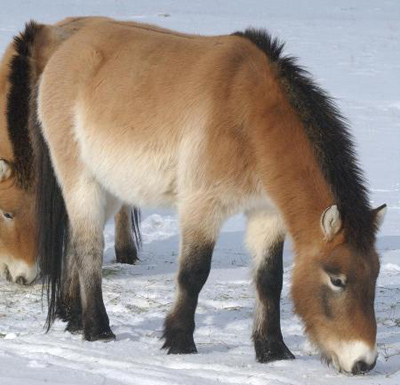 In the wild, Przewalski’s horses live in herds. They feed in the evening, eating mostly grass and other vegetation. When dawn came, the group moves to a safe place to rest during the day. As most of the steppe grass is rather dry, the horses often need to drink from freshwater sources. Leader of the pack played an important role, as he would be the one scouting for predators and taking all the herd to drink. Groups of Przewalski’s horses were most often made of a few mares and their colts and a prominent stallion. Copulation usually happens in April and May, and gestation lasts for about a year, thus colts are born when food is abundant. Both the mare and the pack leader stallion take care of the newborn, helping him keep up with the rest of the herd. The colt is nursed until it can feed himself, which is usually a few months after being born. Mares usually stay with the herd for a long time, while young stallions are driven away by the pack leader. Przewalski’s horse can live to be 20 years old. 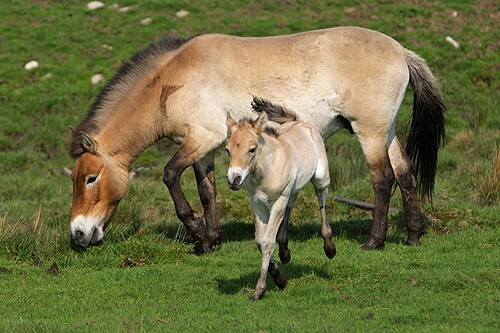 Although the population of Przewalski’s horse has suffered greatly due to being hunted and cross-bred with other species, the future of these horses looks bright, as many zoos participate in restoring the population.